Watch NCIS Season 10 Episode 9 online via TV Fanatic with over 8 options to watch the NCIS S10E9 full episode. Affiliates with free and paid streaming include Amazon, iTunes, Vudu, Netflix, YouTube Purchase, Google Play, CBS All Access, and CBS All Access (Via Amazon Prime). 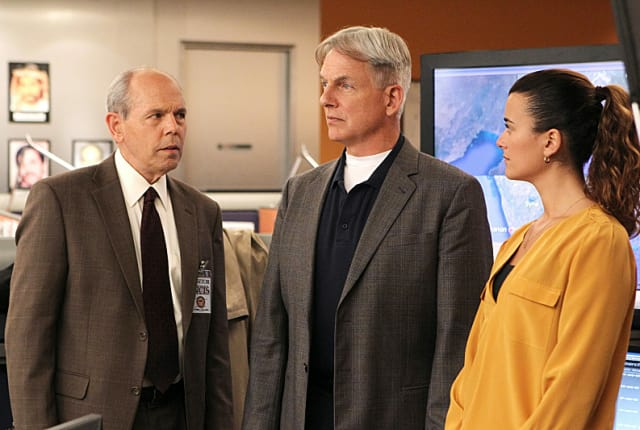 Gibbs and NCIS team up with Fornell and the FBI after the latter becomes the target of a shooting; their mutual ex-wife, Diane, is also involved. That's funny. She looks just like our ex-wife. Permalink: That's funny. She looks just like our ex-wife. NCIS Round Table: "Devil's Trifecta"
NCIS Sneak Peeks: You Look a Lot Like Our Ex-Wife!